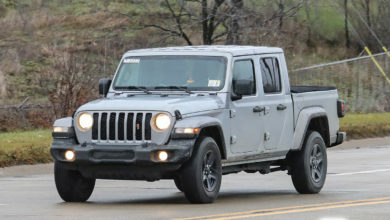 This is it faithful Jeep pickup fans — your very first look at the 2020 Jeep Gladiator Pickup (JT)!! We are told this information comes by way of FCA’s media site which leaked a treasure trove of photos and info on the upcoming Gladiator (before being removed). 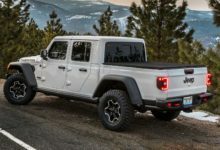 These press photos show a beautifully proportioned JT Jeep pickup truck available in premium soft top or two hard top options and a design that obviously did not want to stray far from the styling of the Jeep JL Wrangler — and that’s a good thing in our opinion. 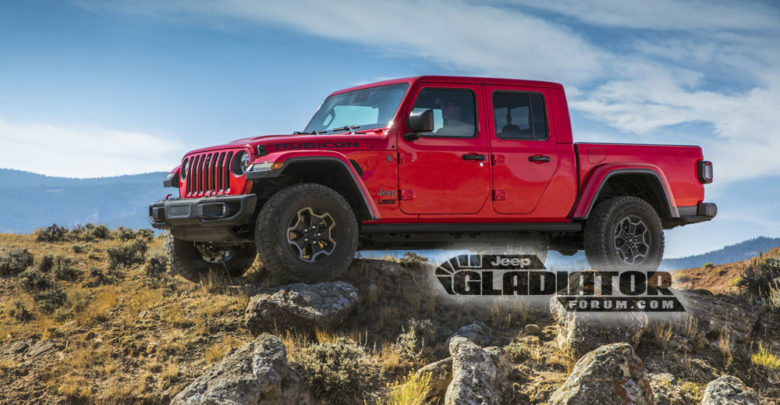 Like its JL cousin, the Gladiator will be available with the 3.6-liter Pentastar V6 engine with Auto Stop-Start and a choice of eight-speed automatic or six-speed manual transmission. The highly anticipated 3.0-liter EcoDiesel V6 with ESS with an 8-speed automatic transmission will be available in 2020. 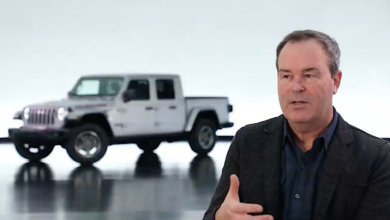 The 2020 Jeep Gladiator will offer best-in-class towing capacity of up to 7,650 pounds, and best-in-class payload capacity of up to 1,600 pounds. It will also have “unmatched” crawl ratios and up to 30-inches of water fording. 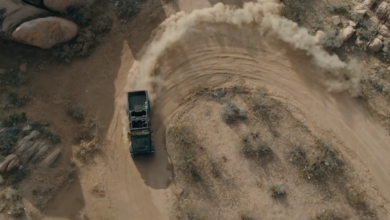 To bolster its on and off-road capabilities, it will offer Command-Trac and Rock-Trac 4×4 systems, third generation Dana 44 axles, Tru-Lock electric front and rear axle lockers, Trac-Lok limited slip differential and segment exclusive electronic sway bar disconnect with 33-inch off road tires. The truck comes in crew cab configuration and features a durable five-foot steel bed with covered external power source and strong integrated tie-downs which provide versatility for flexible cargo options. 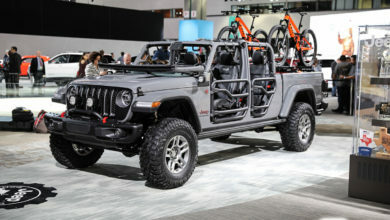 For those who want an even more open air experience, fret not as the folding windshield will also carry over from the Jeep Wrangler and Jeep will be offering dozens of different door, top and windshield combinations. You can have a look at the full specifications and press photos in our 2020 Jeep Gladiator forum inside.